Dimensions 20 ft x 15 ft x 18 ft tall. Our slides are crowd pleasers at any event or celebration! Suitable for event hire or private party hire indoor or outdoor. Celebration themed with balloons and streamers. Suitable for children up to 1.5m tall. 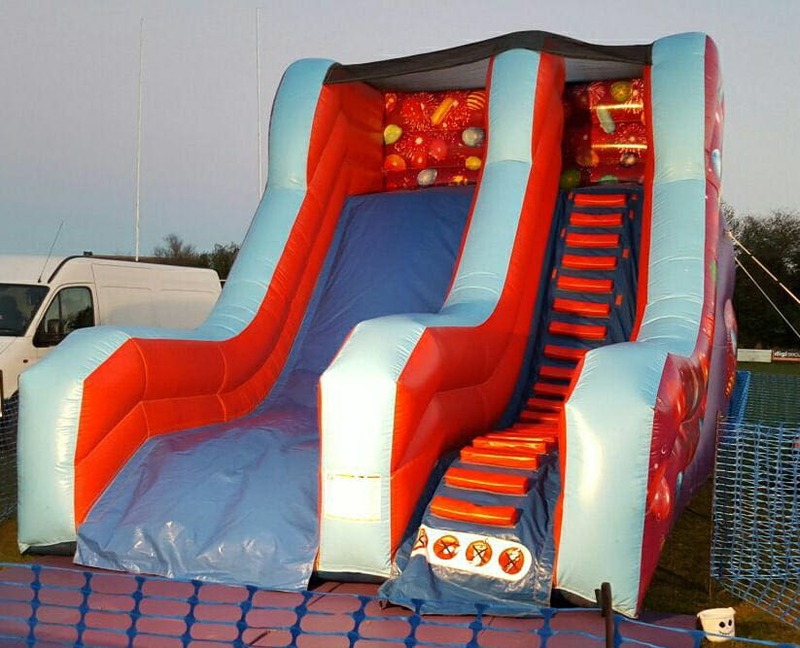 Give your event or celebration the ultimate WOW by looking at our matching celebration themed inflatables so you can have something for everyone.